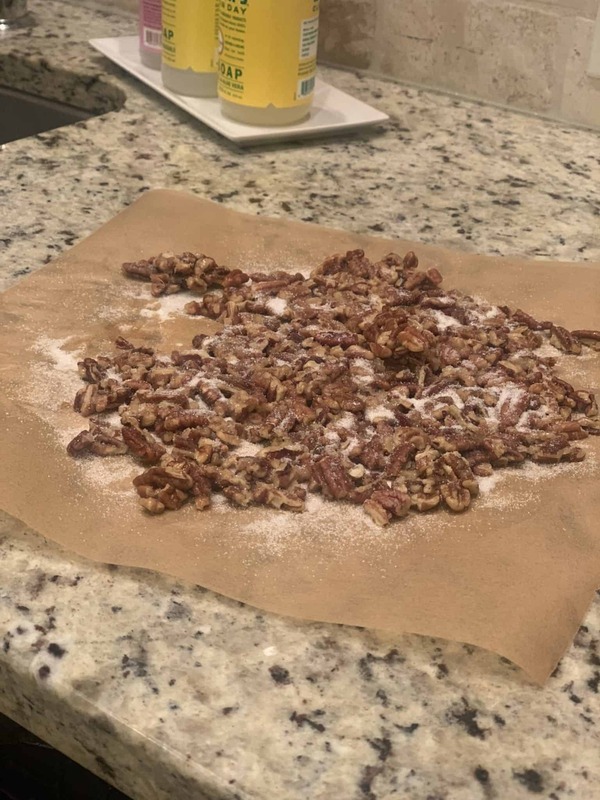 May 18, 2018 by Laurie Leave a Comment This post may contain affiliate links, which means if you click on a link and purchase something, I may earn a small commission (at no additional cost to you.) See my disclosure policy HERE. UPDATE ~JUST A FEW HOURS LEFT! USE THE CODE PPP25 to save 25% off with these menu plans at checkout! 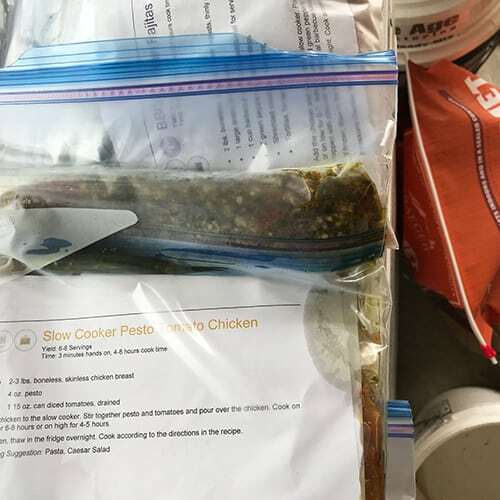 Go HERE to get yours so you'll be all set this weekend to start cooking for summer, and remember YOU MUST SIGN UP BEFORE 11:59PM EASTERN TIME ON 5/18/18 when you sign up for the annual plan you'll also be included in our first ever PPP Private EAH Group. 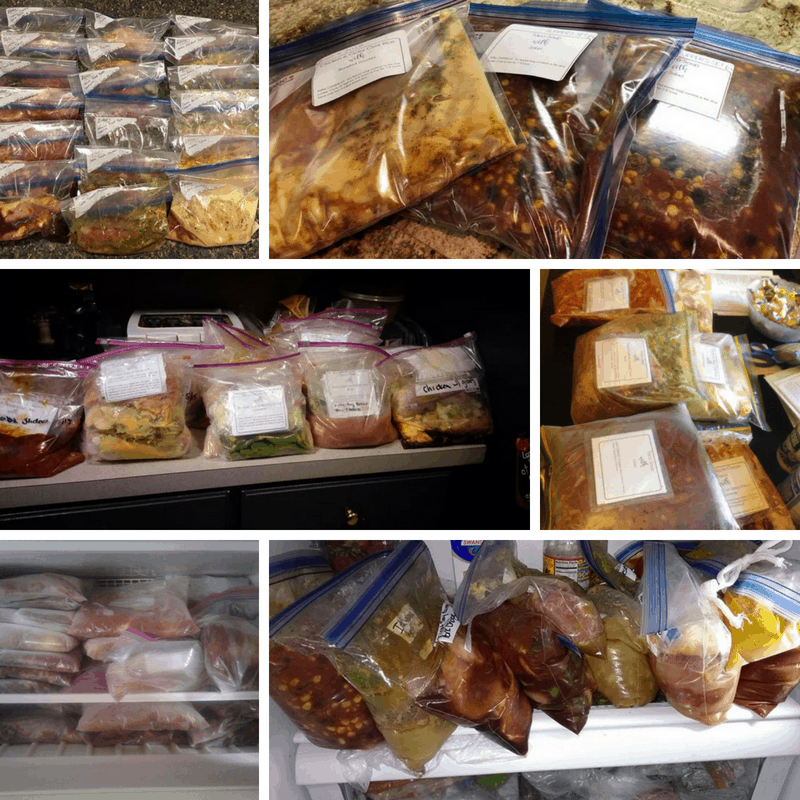 I just finished making 24 freezer meals in four days. 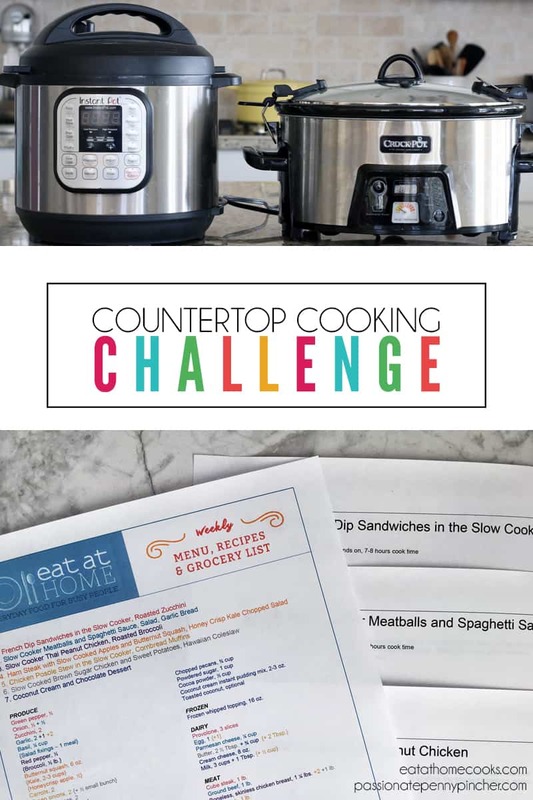 Which will feed my family after leftovers for at least 36 meals. Supper is set for the summer. 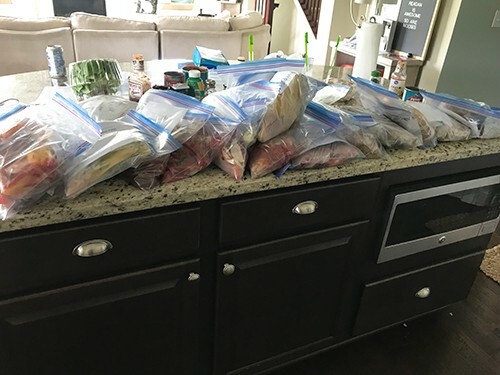 But, at the end of the day those 24 meals are done. 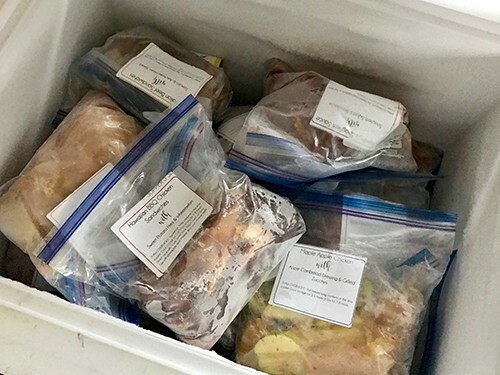 Soooo, have YOU ever considered freezer cooking before? 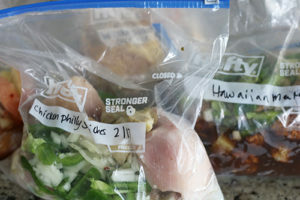 Honestly until last summer I'd heard about freezer cooking, but didn't understand what all the hub bub was about. 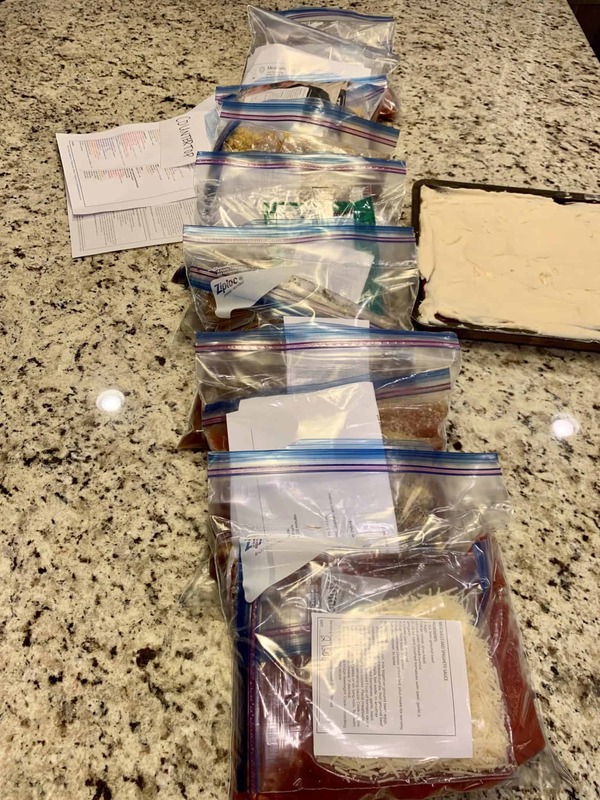 To me it seemed like a lot of work, and I just didn't think it would help dinner happen at our house. After using the Eat at Home Menu Plans Freezer Meals in addition to their slow cooker meals, whole food recipes and no sugar no flour meals, I've changed the way dinner gets done in our home. I've ensured that dinner really does get done in our house. 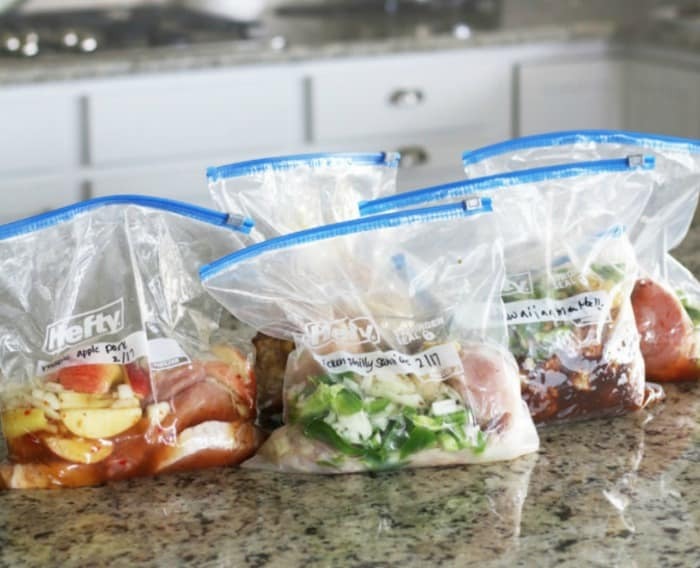 By having all these meals already prepared in the freezer, there's no temptation to eat out on a busy night, because I know I can just go pull out a bag and everything I need for is (basically) right there. 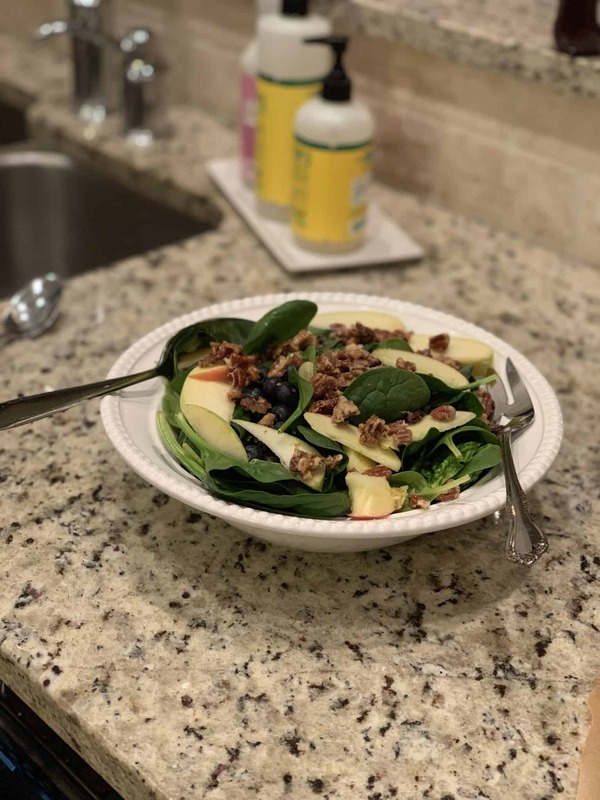 We usually add a side salad, some fruit or veggies, and maybe bread, but other than that I can pretty much skip grocery shopping and menu planning all summer long. It's kinda like giving myself a little summer vacation from cooking. 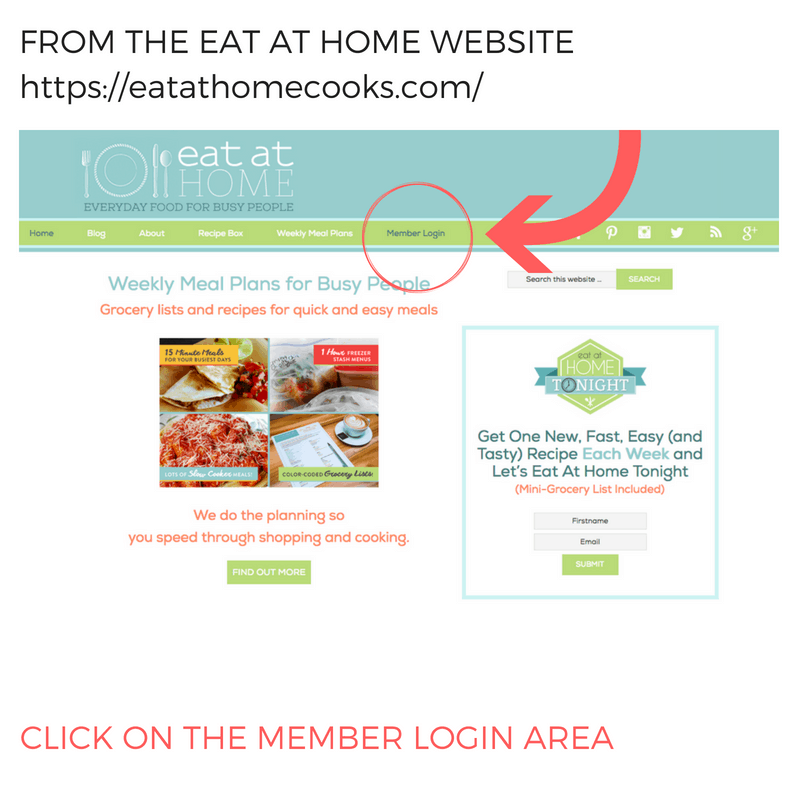 If you join me BEFORE 11:59 PM EASTERN TIME ON MAY 18th and order the annual Eat at Home Menu plans, you'll be included in our first ever Beta Test Private PPP Eat at Home Dinner's Done group. I know you will love this sweet bunch. 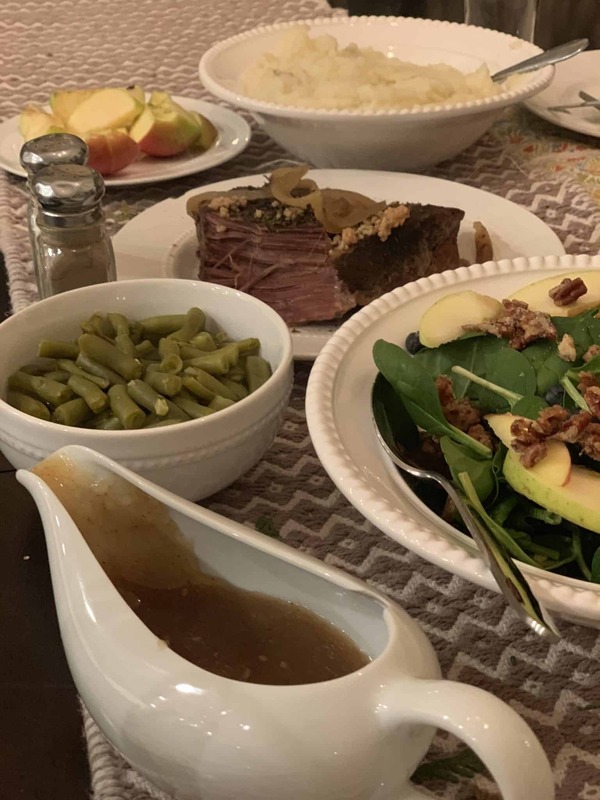 Here's a peek at what they shared about being in the group so far . . . .
And here are just a few of the dinner's they've already done this week. 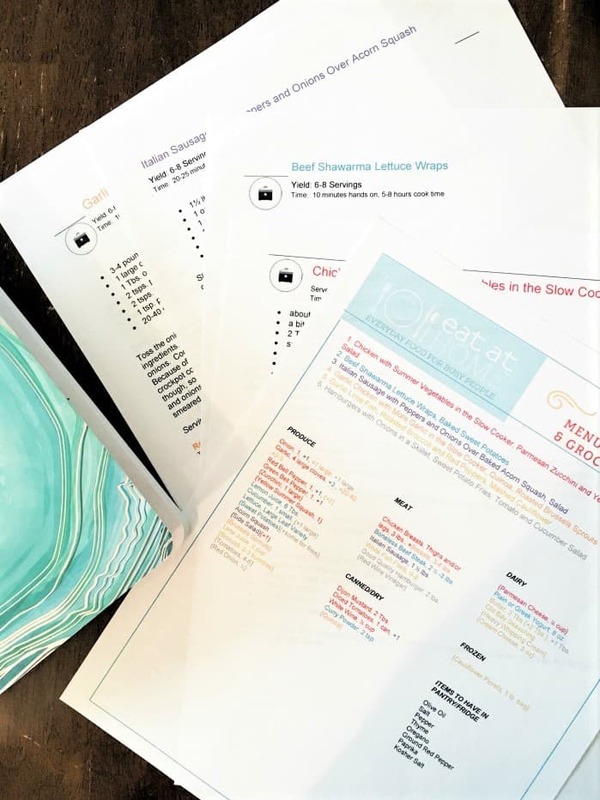 SOOOO . . . . YOU'LL GET 72 RECIPES + A DESSERT EACH WEEK + GROCERY LISTS + MENU PLANS FOR A SMALL OR LARGER FAMILY + PRINTABLE FREEZER LABELS + AN EXTRA YEAR OF FREEZER MEALS ~ WAAAAAY BETTER THAN JUST A COOKBOOK! Head on over HERE to sign up if you're not set up already, and let me know what you think ~ it's going to be a great summer! 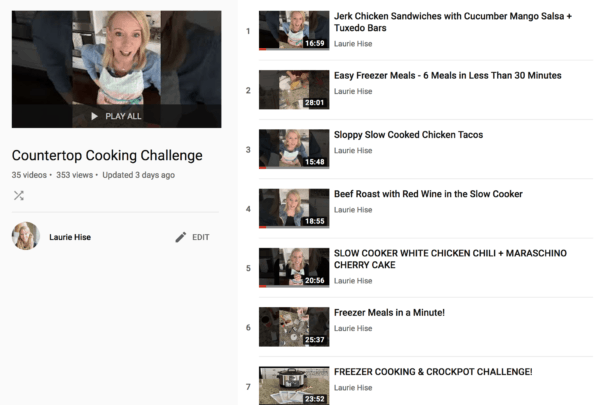 Are You Ready for Our Freezer Cooking Challenge? 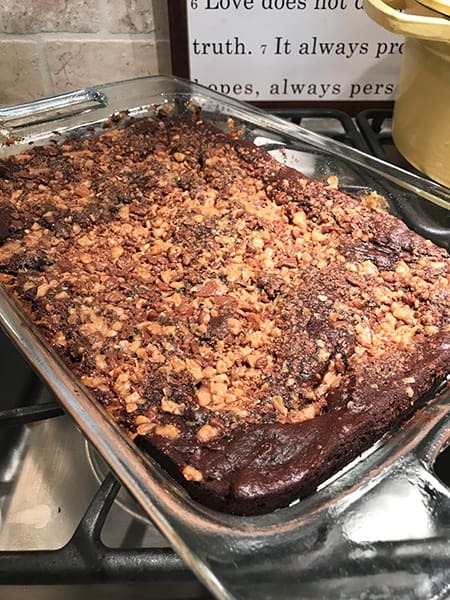 May 10, 2018 by Laurie 4 Comments This post may contain affiliate links, which means if you click on a link and purchase something, I may earn a small commission (at no additional cost to you.) See my disclosure policy HERE. USE THE CODE PPP30 to save 30% off with these menu plans at checkout! 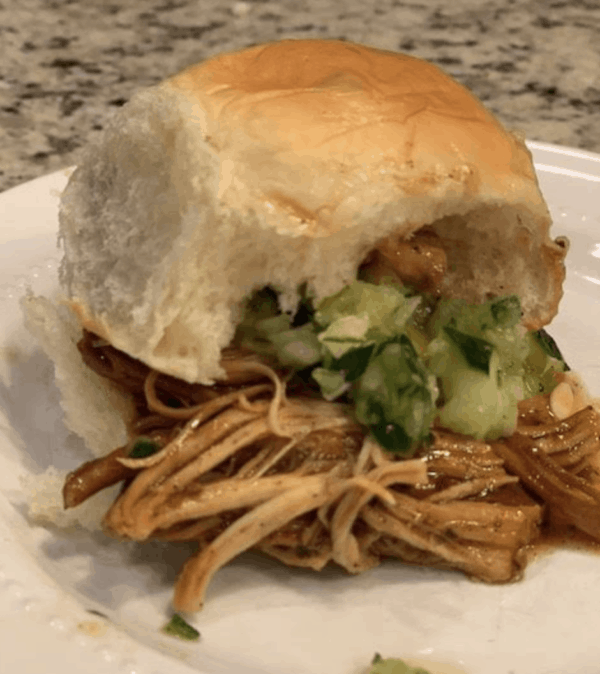 Go HERE to get yours so you'll be all set this weekend to start cooking for summer. 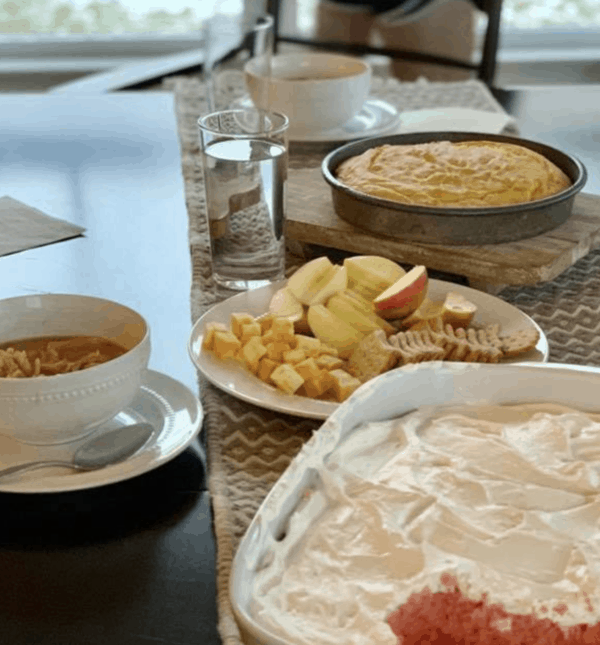 DO YOU GET OVERWHELMED BY COOKING IN THE SUMMERTIME? 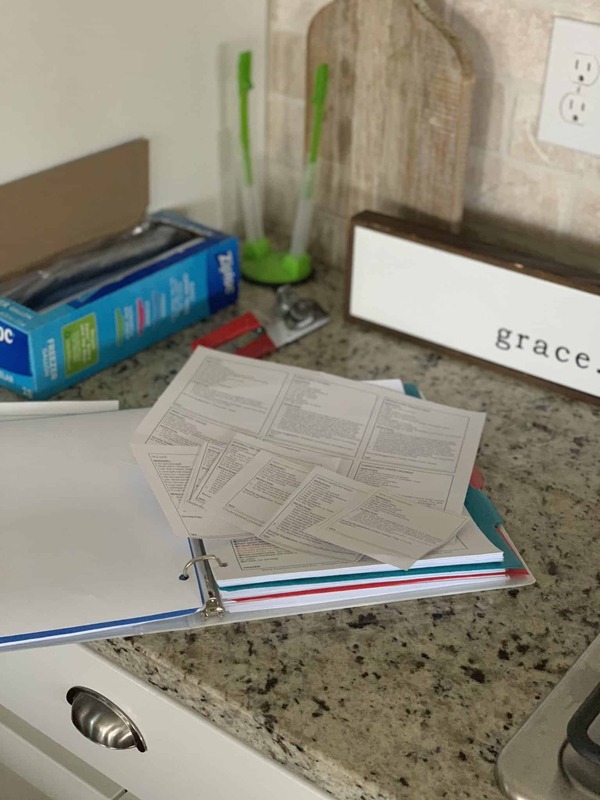 Do you hate menu planning, making a grocery list, and shopping when it's just plain old hot outside and you'd rather play in the sun? 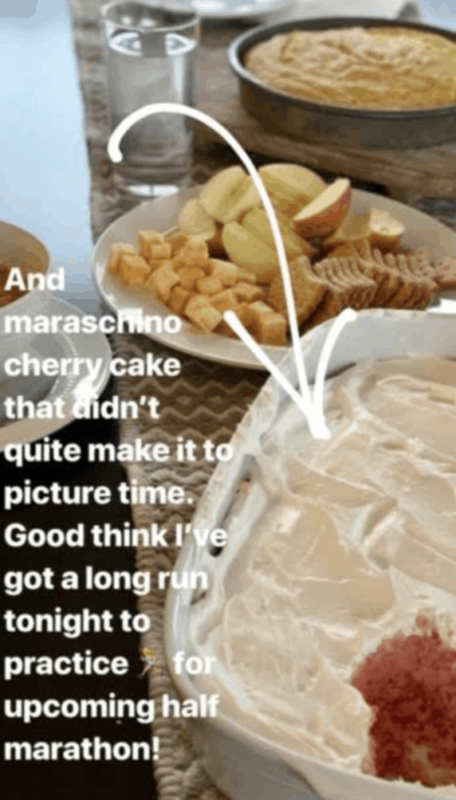 That's why I could hardly wait to tell you about our SUPPER'S SET FOR SUMMER CHALLENGE, because I think it's, going to change your summer. 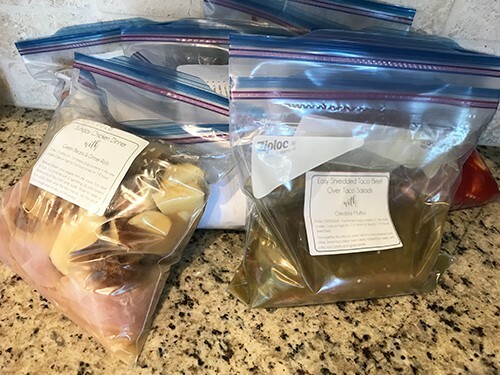 Starting next Monday (5/14/18) and going through Thursday (5/17/18), we'll be making TWENTY FOUR RECIPES TO STOCK YOUR FREEZER for THE SUMMER. 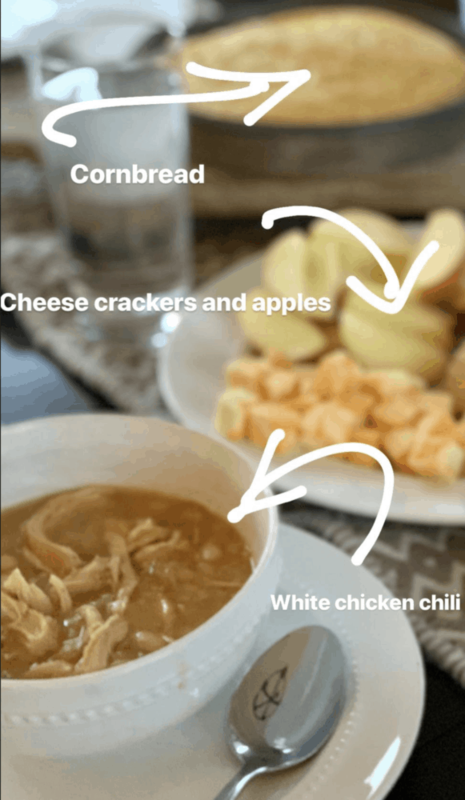 DINNERS THAT YOU CAN THROW IN YOUR CROCKPOT (or stove top, or oven, or grill 🙂 SO YOU DON'T HAVE TO COOK THIS SUMMER!! 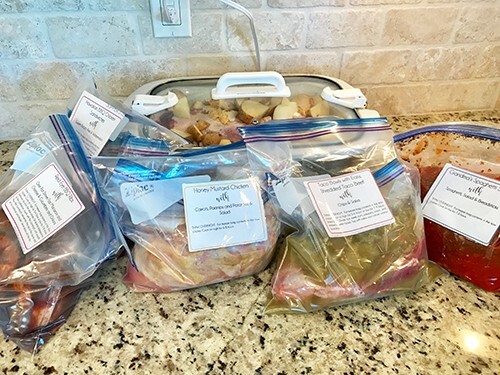 WE'LL MAKE A WHOPPING 24 MEALS IN 4 HOURS MONDAY THROUGH THURSDAY NEXT WEEK. ALL FOR AS LITTLE AS $1.13 PER WEEK WHEN YOU SIGN UP FOR AN ANNUAL PLAN, or just $9.80 to try the menu plans out for one month PLUS you'll get an ENTIRE SUMMER of freezer recipes AND our free printable labels! May 30, 2017 by Laurie 4 Comments This post may contain affiliate links, which means if you click on a link and purchase something, I may earn a small commission (at no additional cost to you.) See my disclosure policy HERE. 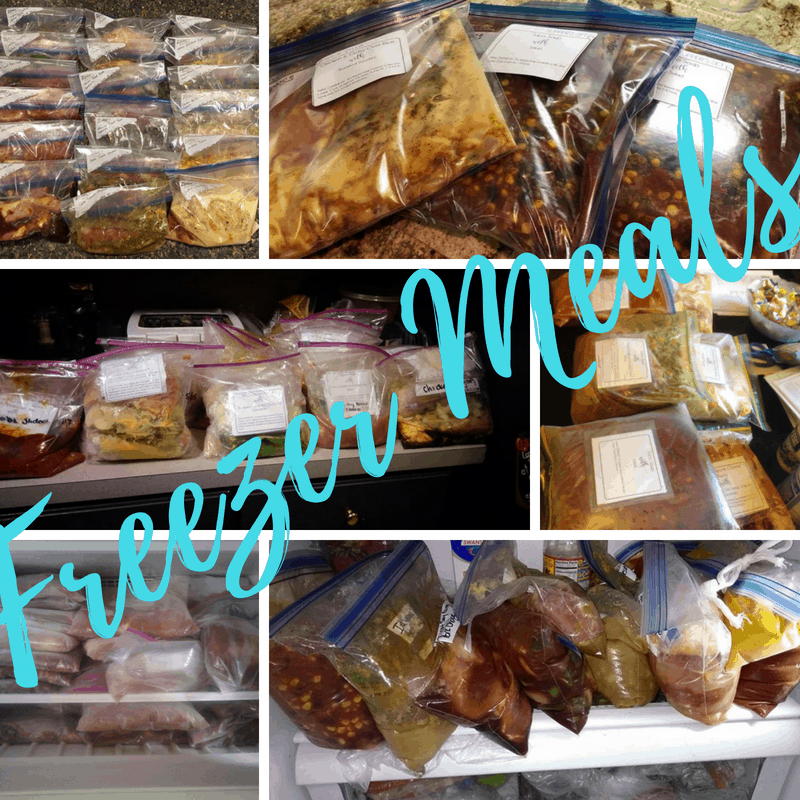 Goodness, gracious, I can't believe how much I LOVED having our freezer meals on hand this last week! 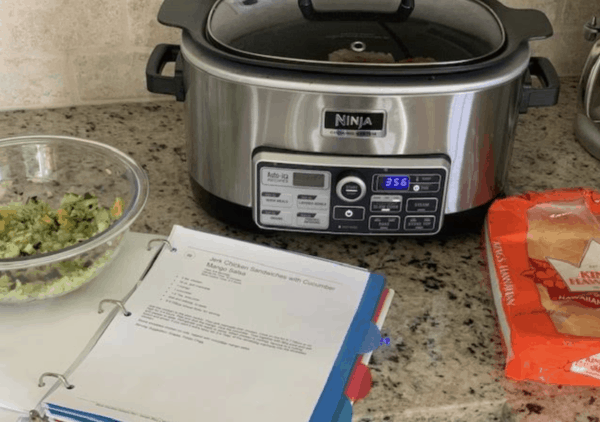 Honestly, I think it's transformed the way I look at cooking, and I may never cook another way again. 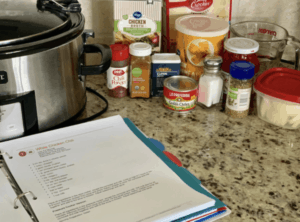 and right now Mrs. Potts is hard at work cooking up Chicken Cacciatore. 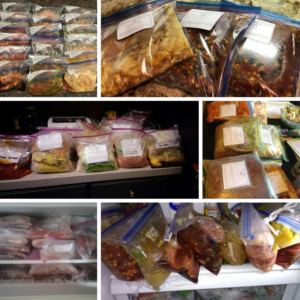 We made 30 meals all set for the freezer to help us get get dinner on the table this summer. WOOHOOO! WOULD YOU LOVE A LITTLE SANITY THIS SUMMER TOO? 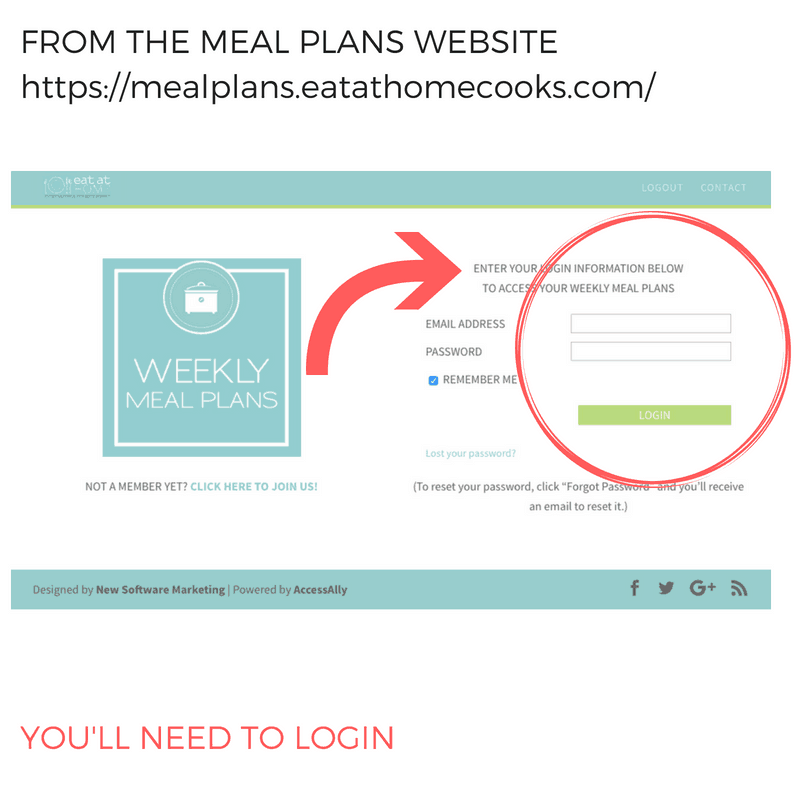 While there aren't any codes currently available for the Eat at Home Menu Plans, I still think they're so worth it if you struggle with menu planning. 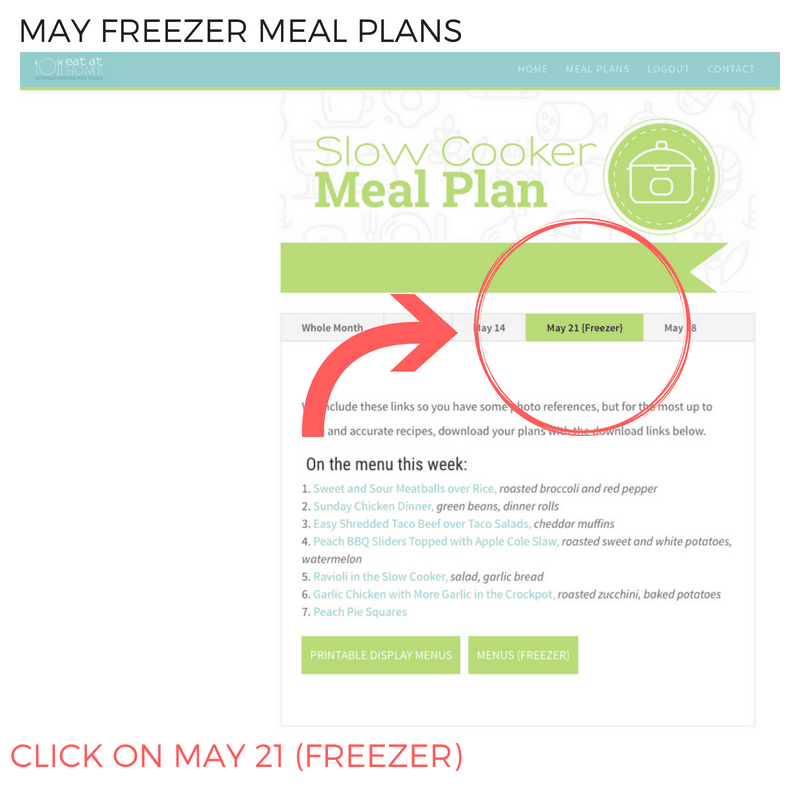 In addition to our freezer menus, you'll get access to FOUR WEEKS of menu plans for as low as $1.21 per week! The best part? 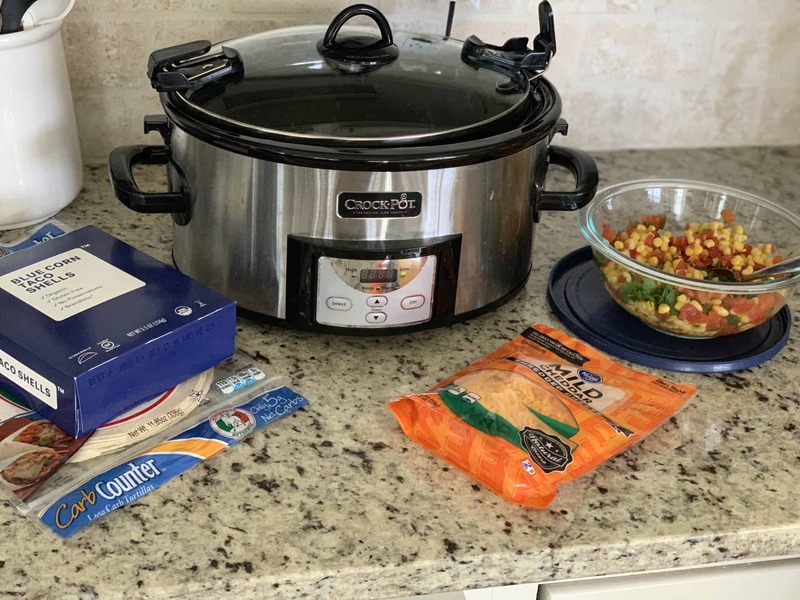 You'll get all the freezer cooking meals AND monthly sets of slow cooker meals, whole foods meals and traditional menu plans. 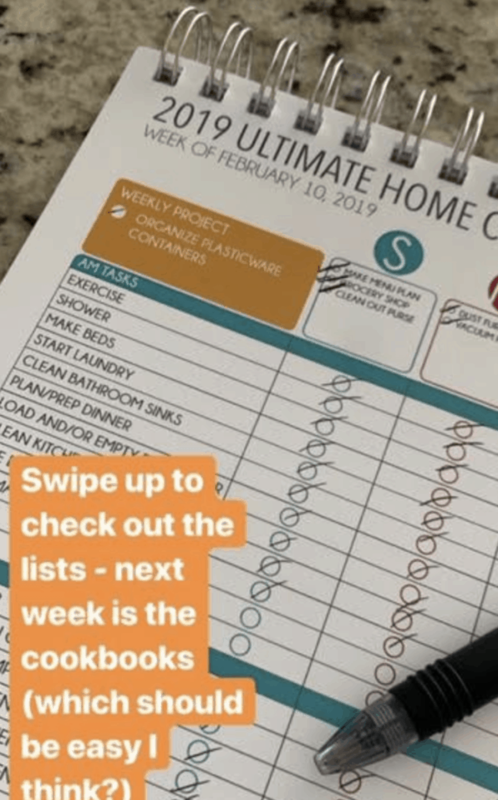 I promise, you'll love these lists! 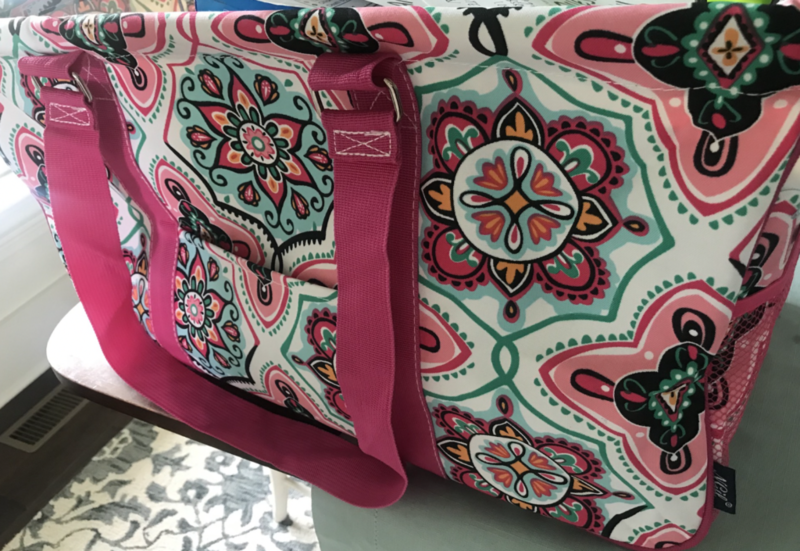 May 24, 2017 by Laurie Leave a Comment This post may contain affiliate links, which means if you click on a link and purchase something, I may earn a small commission (at no additional cost to you.) See my disclosure policy HERE. USE THE CODE PP25 to save 25% off with these menu plans at checkout! If you missed my Facebook live video this morning you can watch here. 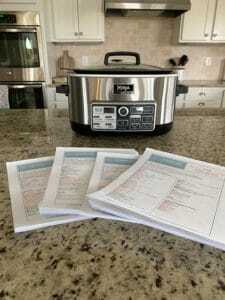 I'm so excited to have 3 more suppers set for the supper! 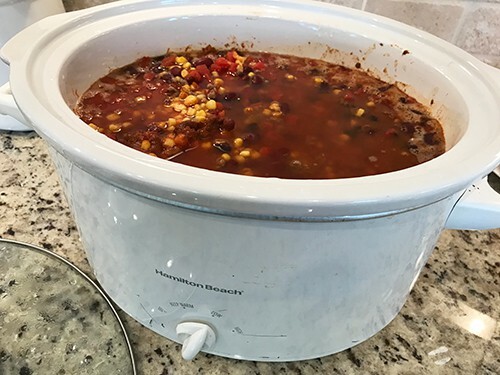 This brings our total up to 27, just three more meals to make Friday morning. This Friday will be our LAST day of the challenge, and we will have a MEGA GIVEAWAY to share (WOOHOO!) So, be watching Friday morning at 9:15 AM Eastern Time – I promise you don't want to miss this! My friend Tiffany from Eat at Home Cooks is offering PPP readers a whopping 25% off her menu plans, grocery lists and recipes with the code PPP25 at checkout. 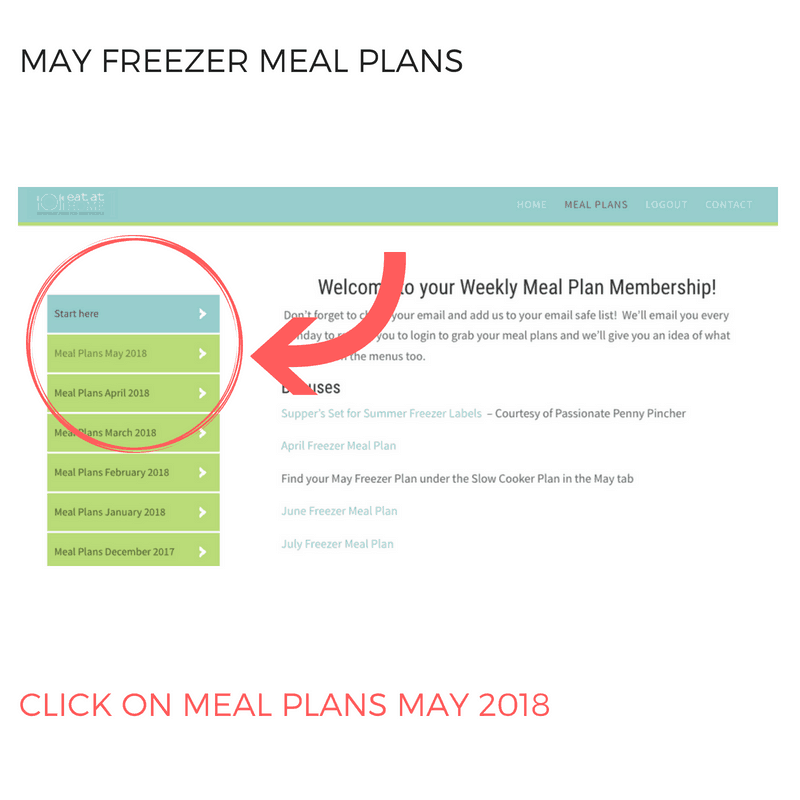 ALL FOR AS LITTLE AS $1.21 PER WEEK WHEN YOU SIGN UP FOR AN ANNUAL PLAN, or just $10.50 to try the menu plans out for one month PLUS you'll get an ENTIRE YEAR of freezer recipes AND our free printable labels! May 18, 2017 by Laurie 6 Comments This post may contain affiliate links, which means if you click on a link and purchase something, I may earn a small commission (at no additional cost to you.) See my disclosure policy HERE. Is that not the most glorious thing you have ever seen? 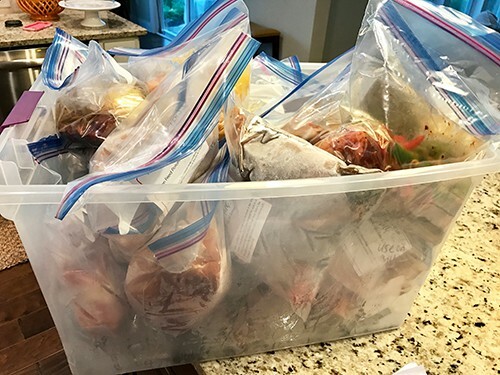 A whopping 24 suppers set for summer, so all I have to do is thaw them out, grill, bake, slow cook or saute. 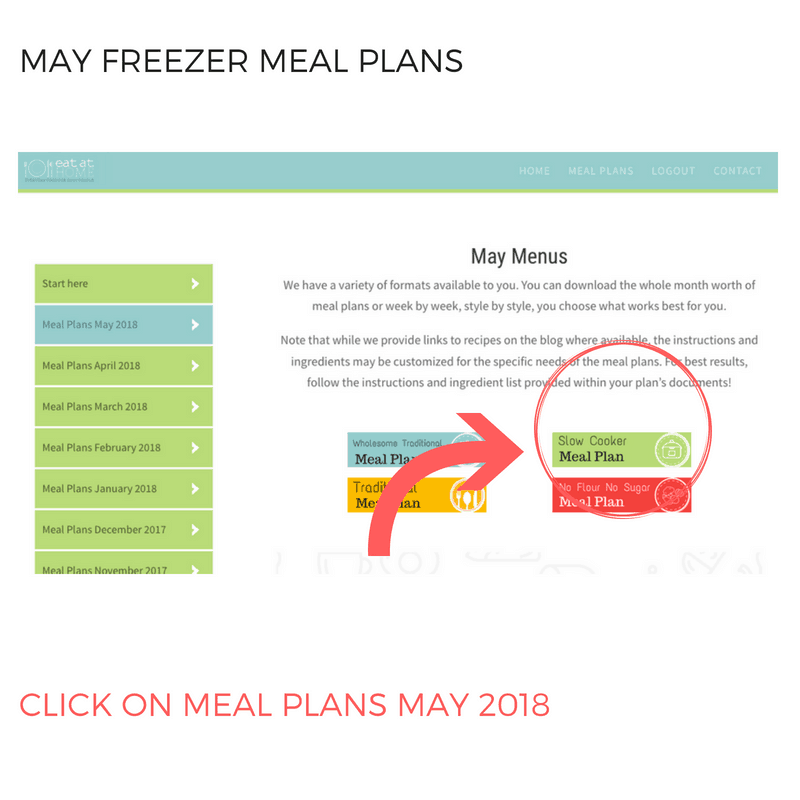 In addition to our freezer mensus, you'll get access to FOUR WEEKS of menu plans for as low as $1.21 per week! May 17, 2017 by Laurie 5 Comments This post may contain affiliate links, which means if you click on a link and purchase something, I may earn a small commission (at no additional cost to you.) See my disclosure policy HERE. Those of you who know me well know that I don't think one single bit that I'm all that awesome hardly ever, but I am feeling pretty on top of things today. 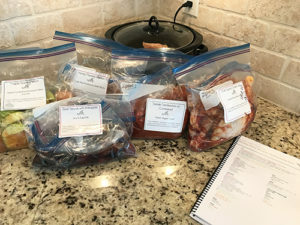 This morning as I was getting ready to make our next batch of 6 freezer meals for our Supper's Set for Summer Freezer Cooking Challenge it dawned on me that these meals didn't have to be made in the slow cooker. I could freeze them today. 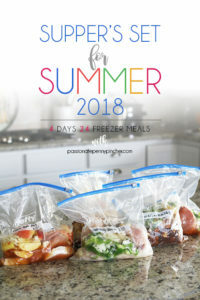 Pull them out to thaw WHENEVER I need them this summer. 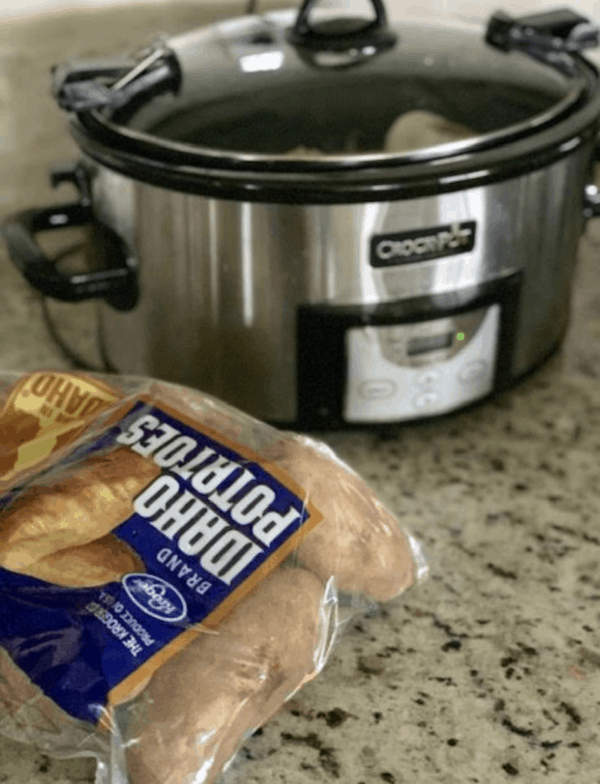 Then pop them in the crockpot. 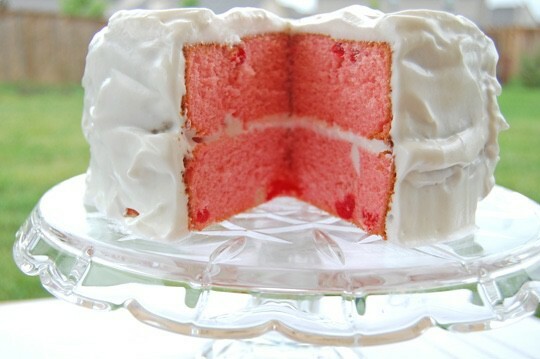 Or, bake them in the oven. Or, saute them on the stovetop. 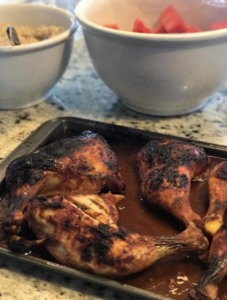 Or, holler at my sweet husband to throw those chicken legs right on the grill. So in just over an hour this morning I tackled another six meals. 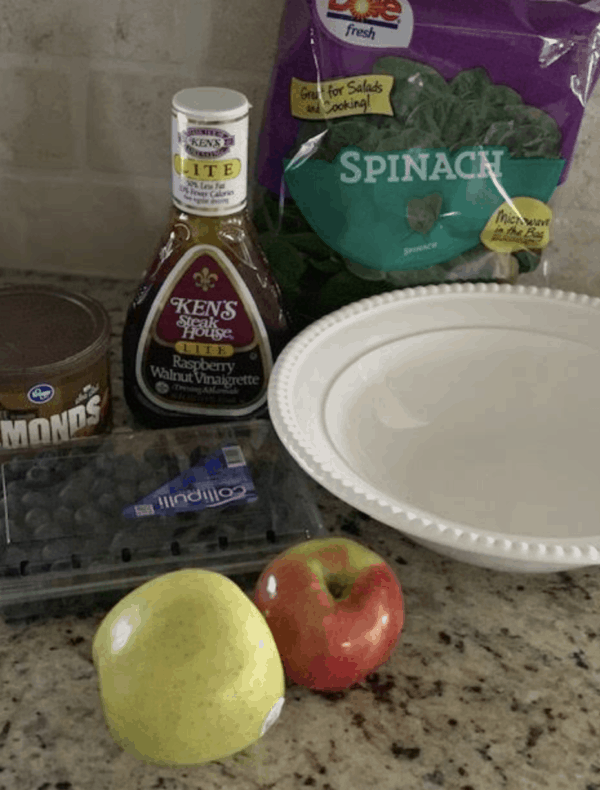 Another six nights my family won't be eating PB&J. 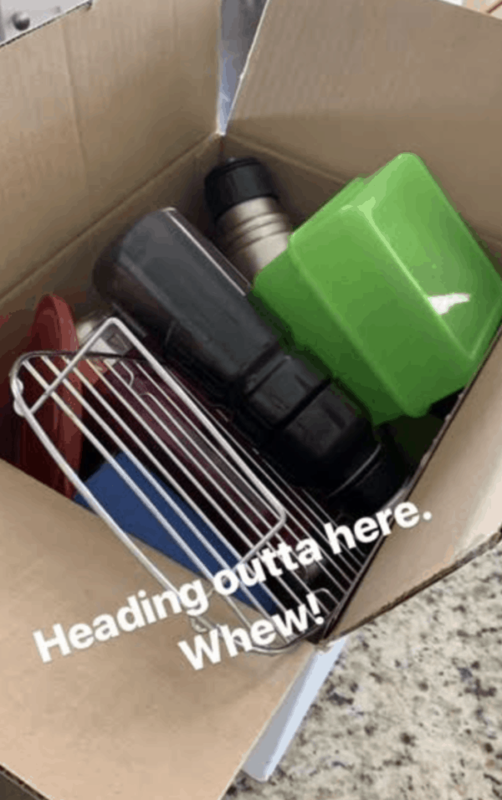 Another week I won't have to plan a massive trip to the grocery store. And best of all I handed myself a serious dose of sanity to help survive summertime. 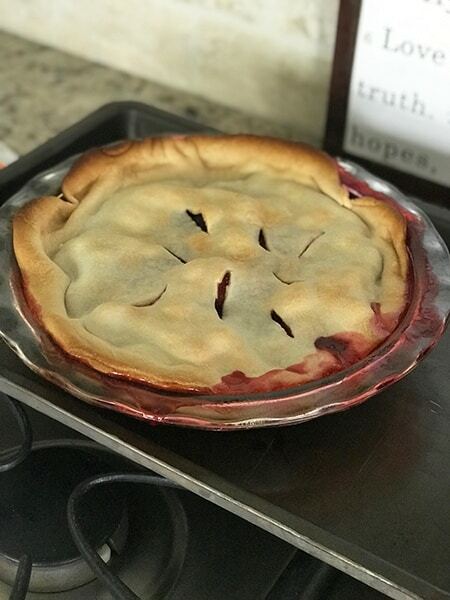 WHY DID IT TAKE ME 20 YEARS OF COOKING TO FIGURE THIS OUT? 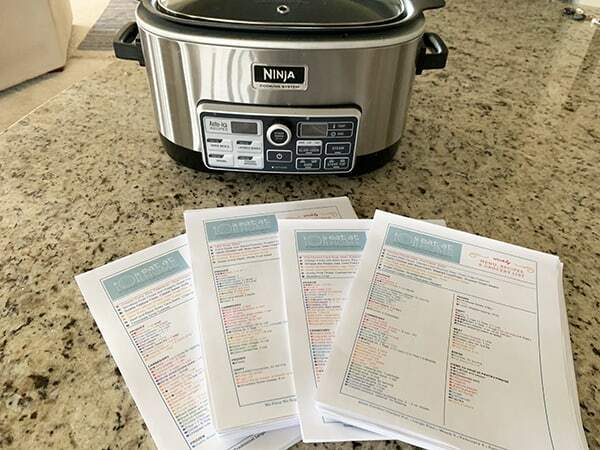 I'm thinking right now I'll do this every three months, because now that I realize there are other ways to cook these meals besides only the crockpot, it just makes sense to get my grocery shopping and menu planning out of the way so I can go right ahead and enjoy life. WOULD YOU LOVE A LITTLE SANITY TOO? May 16, 2017 by Laurie Leave a Comment This post may contain affiliate links, which means if you click on a link and purchase something, I may earn a small commission (at no additional cost to you.) See my disclosure policy HERE. I survived day 2 of the Supper's Set for Summer Freezer Cooking Challenge . . . 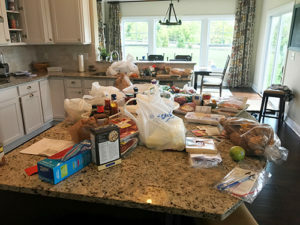 Here's what my kitchen looked like after about an hour of prep work (and a Facebook Live video) this morning . 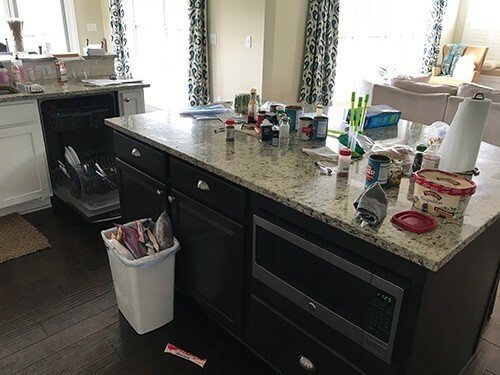 . .
And because I committed back in April to be all awesome, committed back in April to be all awesome, I cleaned everything up right after I finished. So, I spent about 1 hour from start to finish this morning, and six suppers are completely set for the summer. May 15, 2017 by Laurie Leave a Comment This post may contain affiliate links, which means if you click on a link and purchase something, I may earn a small commission (at no additional cost to you.) See my disclosure policy HERE. 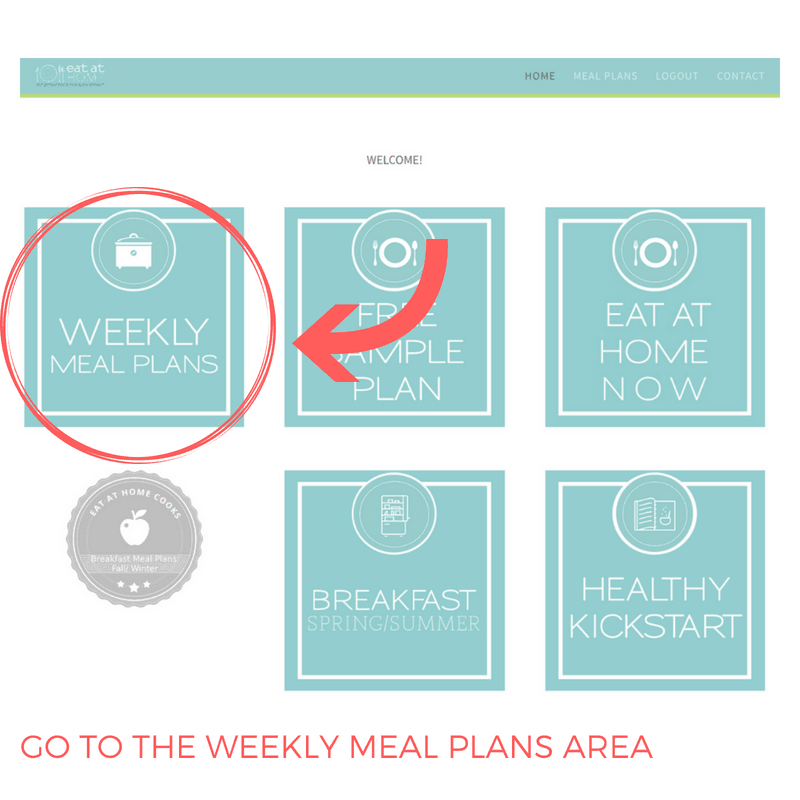 USE THE CODE PP30 to save 30% off with these menu plans at checkout! Go HERE to get yours before this sale ends tonight! 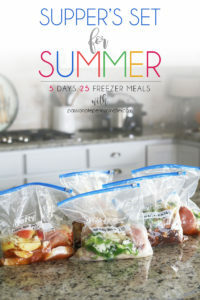 I'm soooooo excited to have 6 meals DONE today from our Supper's Set for Summer Freezer Cooking Challenge! 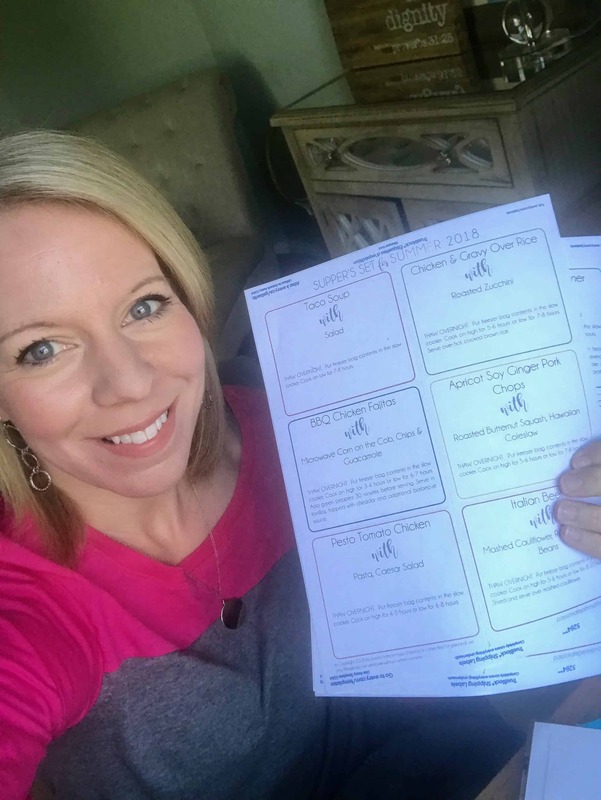 In fact, since I was the one with this brilliant idea (and just praying a few folks might want to join me), last week I was a wee bit sick to my stomach about what I'd just signed myself up for. But, I did learn a few things the last 24 hours as I've been preparing, so I thought I'd share those with you. 3. 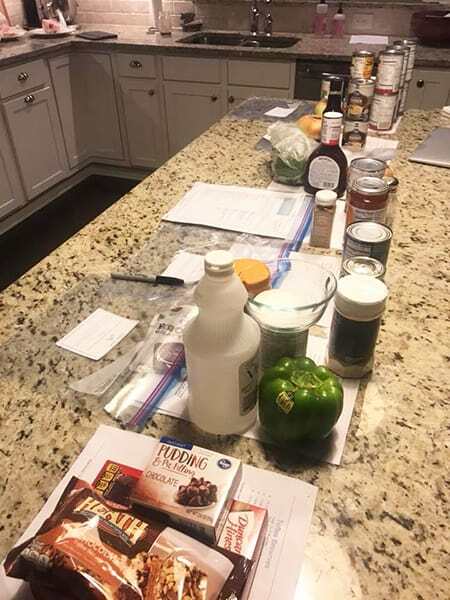 Clear space in your pantry and fridge for your ingredients before going to the store. 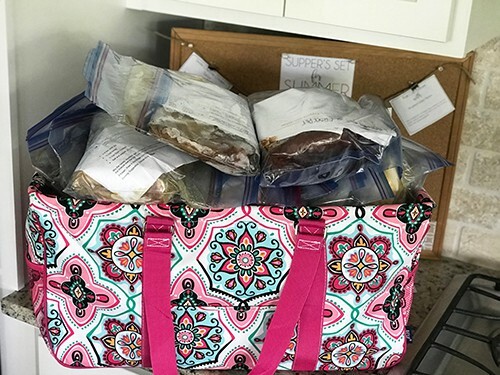 I made space in my pantry for the items I needed and cleaned out my fridge ahead of time, so I had less to do when I got home from the grocery. 4. Label your bags ahead of time. 5. 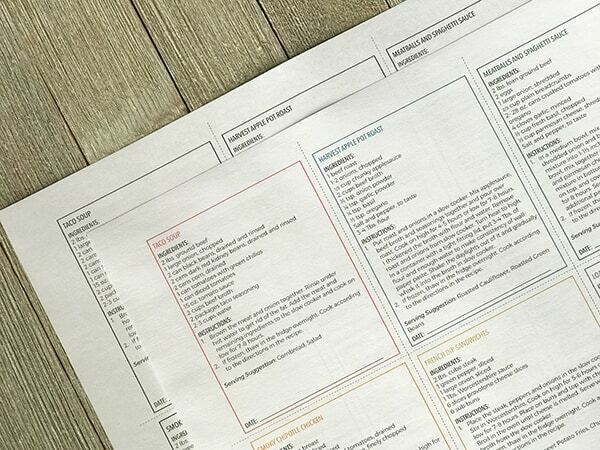 Sort your groceries by days as you'll need them. 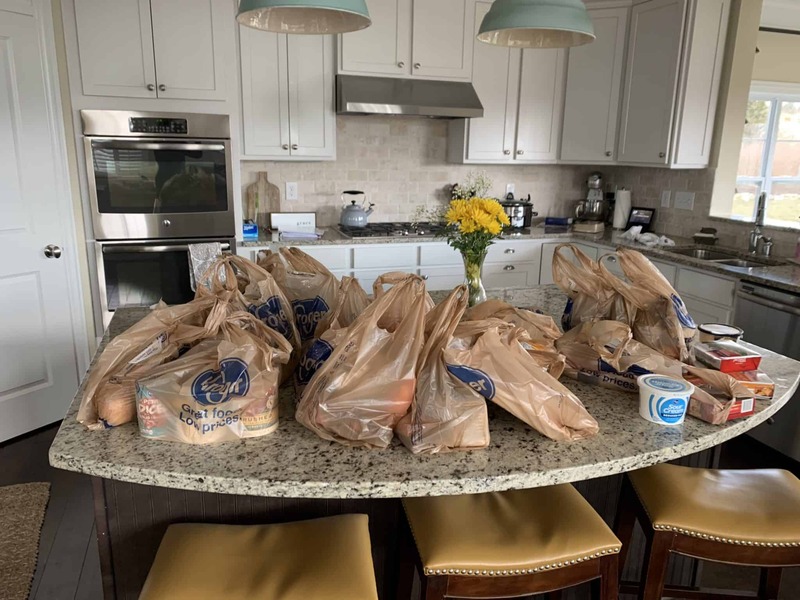 After I got home from the store yesterday, I “grocery shopped” for each day from the items I'd purchased. 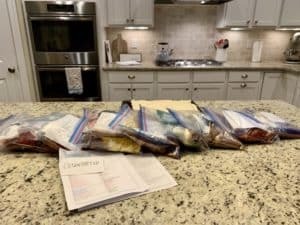 I used clothespins to keep refrigerated items in bags labeled by each day, so I can easily get through them each morning before dumping items in each bag. 7. Cut up veggies & open any cans before you start. I cut up onions this morning before beginning and also opened up all the cans I needed ahead of time. It's so silly, but having that done all in one quick spurt made dumping everything into bags go so much more smoothly! 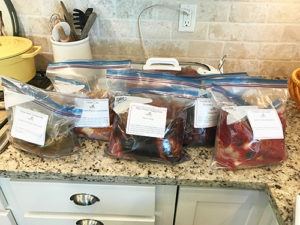 So, I spent about 1 hour from start to finish this morning, and six meals are done. 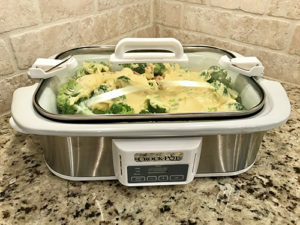 We've got the pork roast cooking in Mrs. Potts right now, I popped five meals in the freezer to use this summer, and I'm feeling like a rockstar right now. 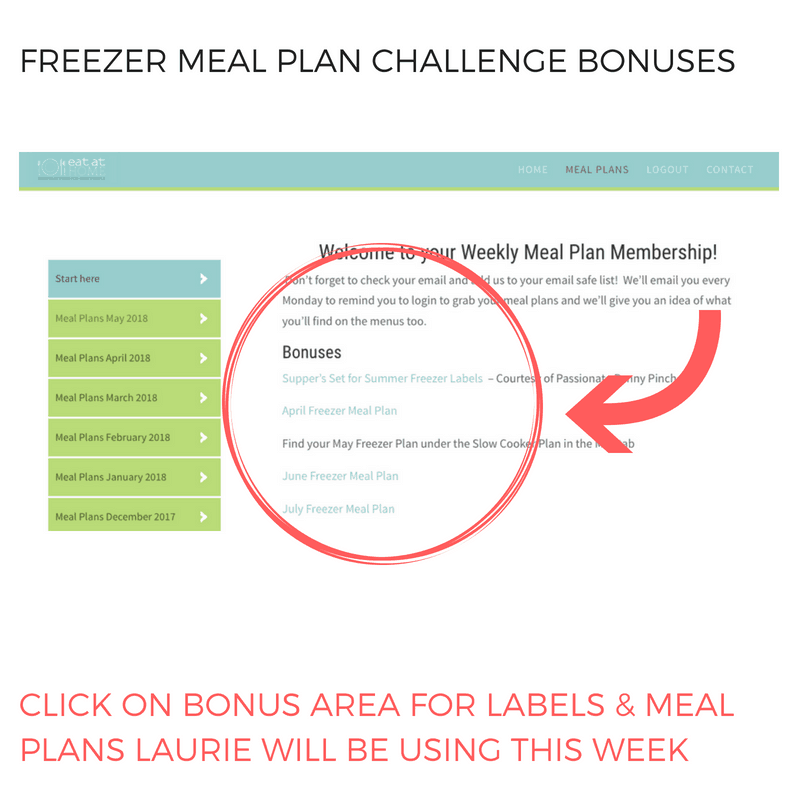 In addition to our freezer mensus, you'll get access to FOUR WEEKS of menu plans for as low as $1.05 per week! 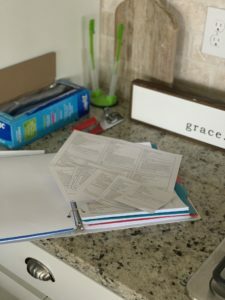 ALL FOR AS LITTLE AS $1.13 PER WEEK WHEN YOU SIGN UP FOR AN ANNUAL PLAN, or just $9.80 to try the menu plans out for one month PLUS you'll get an ENTIRE YEAR of freezer recipes AND our free printable labels! May 12, 2017 by Laurie Leave a Comment This post may contain affiliate links, which means if you click on a link and purchase something, I may earn a small commission (at no additional cost to you.) See my disclosure policy HERE. I'm so excited that so many of you are joining me for the Supper's Set for Summer Freezer Cooking Challenge! May 11, 2017 by Laurie 20 Comments This post may contain affiliate links, which means if you click on a link and purchase something, I may earn a small commission (at no additional cost to you.) See my disclosure policy HERE. 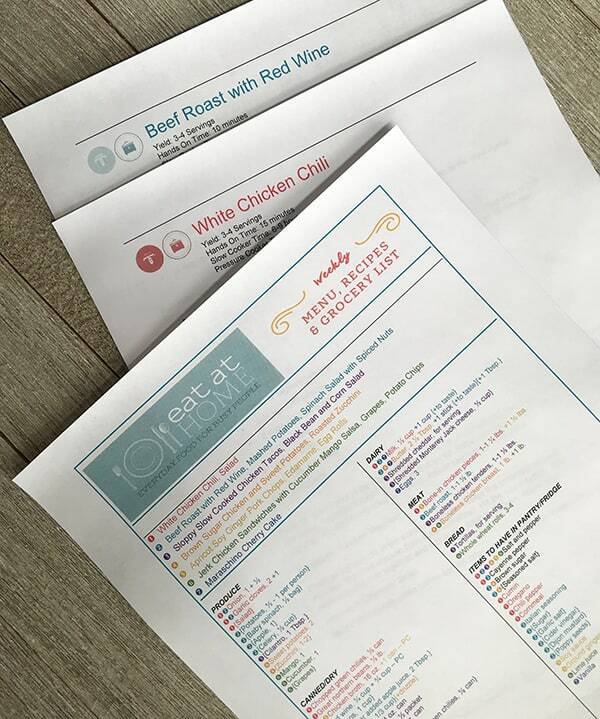 USE THE CODE PP30 to save 30% off with these menu plans at checkout! 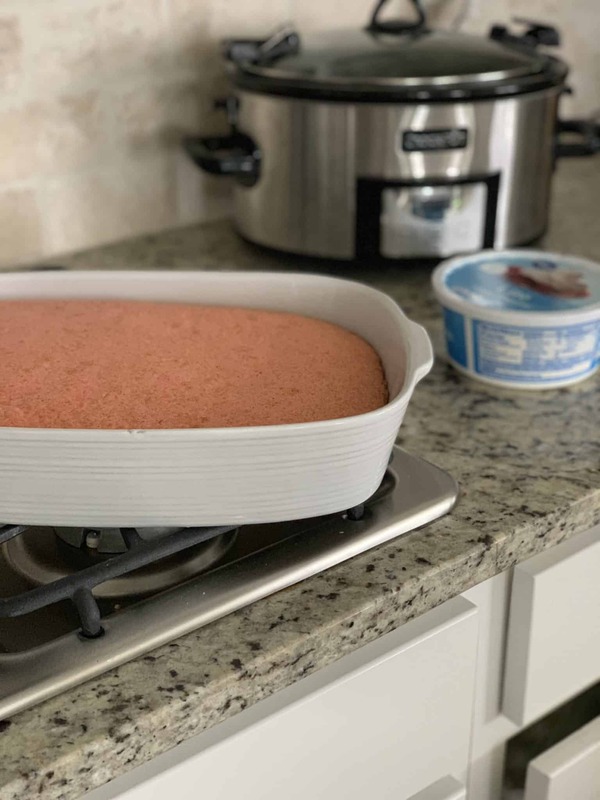 Go HERE to get yours so you'll be all set this weekend to start cooking for summer. DINNERS THAT YOU CAN THROW IN YOUR CROCKPOT SO YOU DON'T HAVE TO COOK THIS SUMMER!! 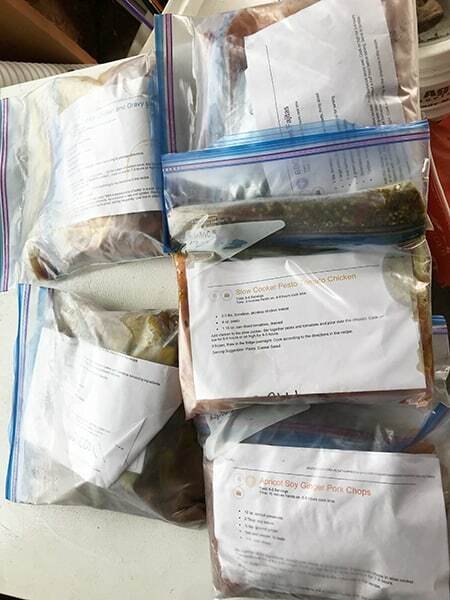 WE'LL MAKE A WHOPPING 30 MEALS IN 5 HOURS MONDAY THROUGH FRIDAY NEXT WEEK. P.S. 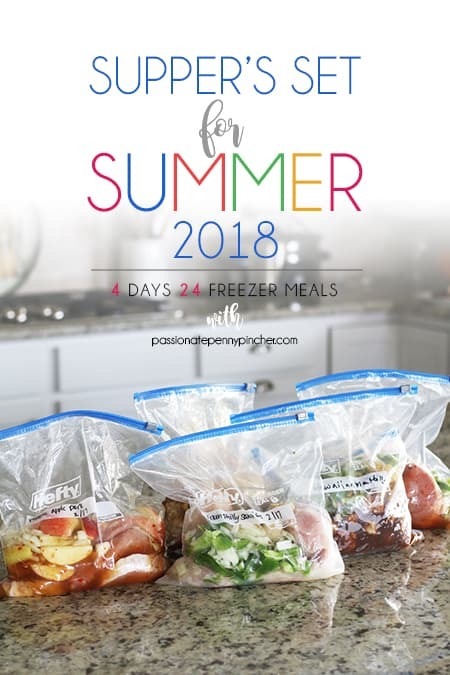 As a PPP reader and one of my favorites, don't forget to head over HERE and download the printable labels we'll be using for our meals this week. 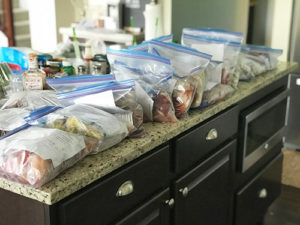 A WHOLE SUMMER WORTH OF MEALS DONE IN 5 DAYS? WOOHOOO! P.P.S. 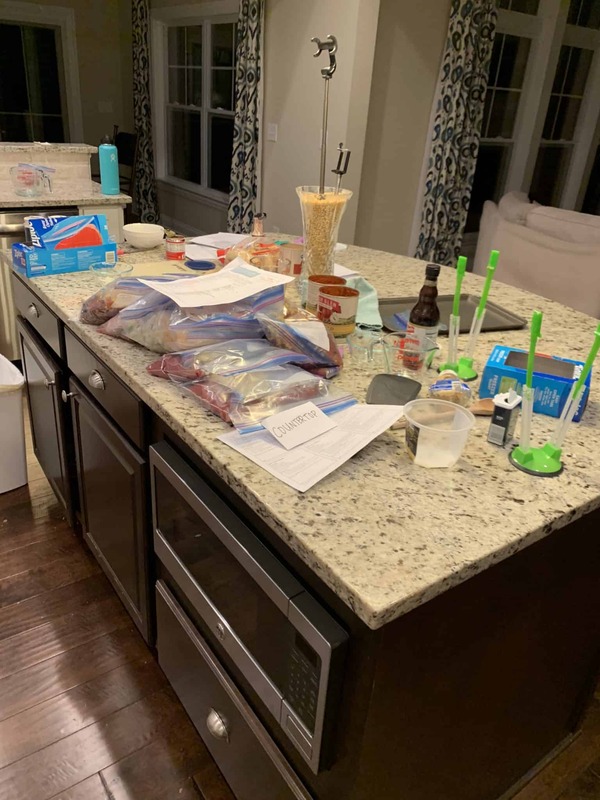 I'll be explaining all of this in detail and answering questions about it this morning on Facebook Live at 9:15 AM Eastern Time (as well as cleaning out our deep freeze to get ready for the challenge!) Join me over HERE!